The Nature Explore Classroom at the Environmental Education Center in the City of Plano, sits within a landscaped garden featuring native and adapted plant material. Separate areas of the outdoor space have been designated for each type of activity. This inviting landscape incorporates trees, shrubs, ornamental grasses and perennials. Planted landscape beds are used to divide and separate different areas. Low permanent structures and plants, whose mature height is shorter than most preschool-aged children, have been included to ensure visibility throughout the classroom. Plant materials, pathways, fencing, landscape berms, planter boxes, boulders and benches help define the areas while signs mark and identify each of them. Props and materials were chosen to engage children in activities while “prompting signs” were placed to invite children to interact with the materials in each of the given areas. Additional spaces included in the Nature Explore Classroom include a water play area, sand/dirt digging table, bird feeding station and a bird blind. The bird blind contains viewing holes that look out on a creek. A beautiful mosaic tile mural of the creek and riparian habitat, created from leftover tile pieces, is mounted on the bird blind fence and identifies local birds. A natural waterway borders the space and adds an element of peace and tranquility. A feeding station, mounted on the back of the bird blind fence, and berry-producing shrubs and trees are used to attract birds. There is minimal use of plastic in the classroom with a focus on durable and natural materials. Wood, brick, stone, wood chips and Trex are used throughout. Plants were chosen for their low maintenance characteristics of heat and drought tolerance and toughness-if stepped on by the children. A low-flow automatic watering system was included for long-term low maintenance. With a clear organization and natural flow from space to space, the design is aesthetically pleasing with a mix of colorful plants and materials that complement each other. Parts of a Black Willow tree, taken from another area of the property, were incorporated into the space as balance beams, stepping trunks of different heights, table bases and stools. Recycled keys, spoons and wrenches make up different types of standing musical chimes. 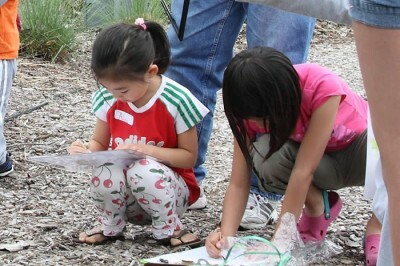 Family involvement at the Environmental Education Center includes many engaging events. June through August brings programs to the Nature Explore Classroom focusing on different themes each week. Celebrate Urban Birds is an activity set up around the classroom with activities focused on birds. The Family Nature Club, gathering ideas from the Nature Explore Families Club, meets the first Sunday of the month. A 10-week gardening program, offered in the spring and the fall, helps children learn about gardening, plants, habitats and how to grow, maintain and harvest their own food. 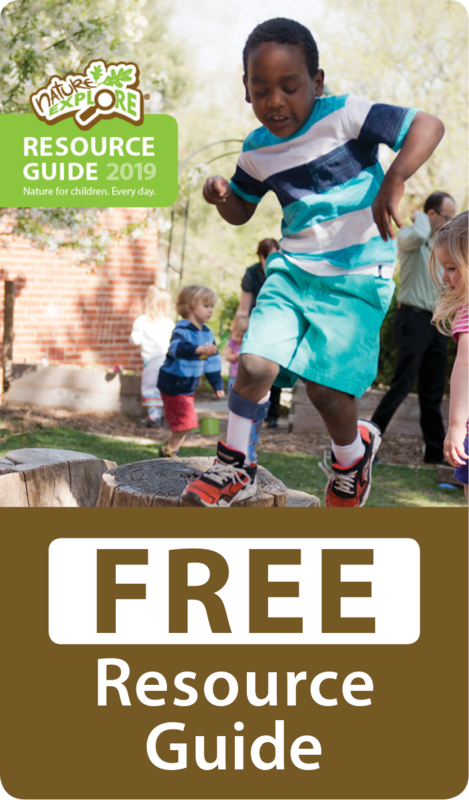 Weekly homeschool groups use the Nature Explore Classroom on their own as a location for their lessons and families are encouraged to use the Nature Explore Classroom on their own for birthday parties.